The Chipley Facility opened in 1983 and was a part of WestPoint Pepperell, which operated over 30 U.S. facilities. Now known as WestPoint Home, the Chipley Facility is the only U.S. facility still in operation. 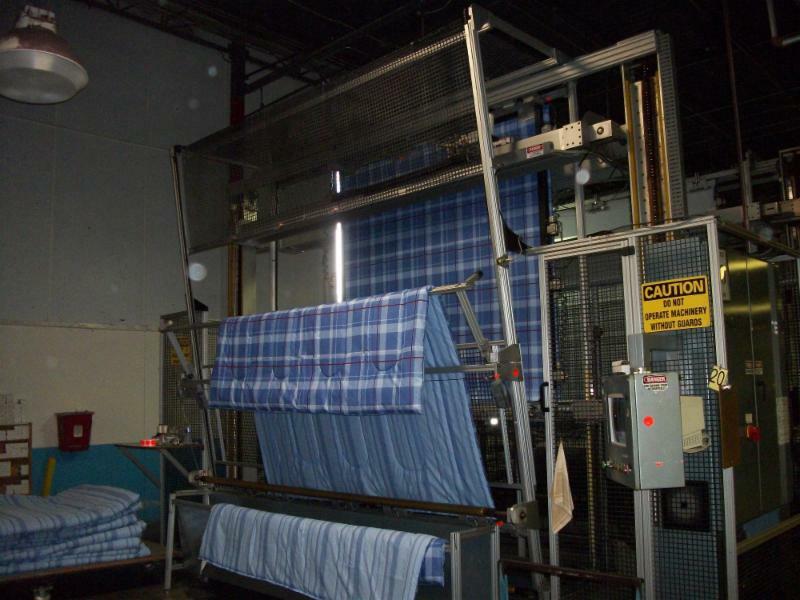 Led by a dedicated management team, 260 associates from Washington, Holmes, Jackson, and Bay counties manufacture top-of-the-line bedding products. The facility’s large distribution center handles not only its own product, but also goods sourced worldwide. Manufacturing and distribution operate five to six days per week and service customers such as Ralph Lauren, Macy’s, Target, J.C. Penney, Wal-Mart, Costco, and Bed Bath & Beyond. The plant has increased production efficiency through automation; for example, one operator can now complete the work of eight to ten operators. Retailers recognize the plant for its outstanding service and unique products. Many thanks to Rex Lumber for allowing the Council not only to enjoy a great membership meeting with great refreshments, but also to tour the Graceville facility. The tour illustrated that mills certainly can be considered advanced technology. 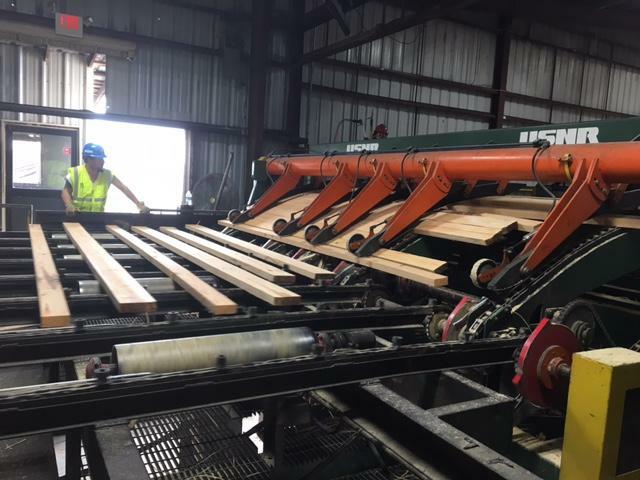 Rex Lumber has taken the lumber industry to an entirely new level and are the epitome of today's manufacturing – not your grandparents’ manufacturing! The Florida Sterling Council and FloridaMakes named 28 manufacturing companies as finalists for the first Florida Sterling Manufacturing Business Excellence Awards. Florida Sterling-trained examiners and manufacturing representatives judged nominees on six criteria: leadership, strategic planning, customer and market focus, measurement, analysis and knowledge management, and workforce and operations. Winners will be announced on June 2 at the 2017 Governor's Sterling Awards Banquet in Orlando. Among the finalists is Ascend Performance Materials, located in Gonzalez, Florida. Ascend is a national company with over 500 employees. See the full list of finalists on BusinessWire. Mike joins us from the State Manufacturing Extension Partner (MEP) in Missouri and brings over 25 years of management experience. 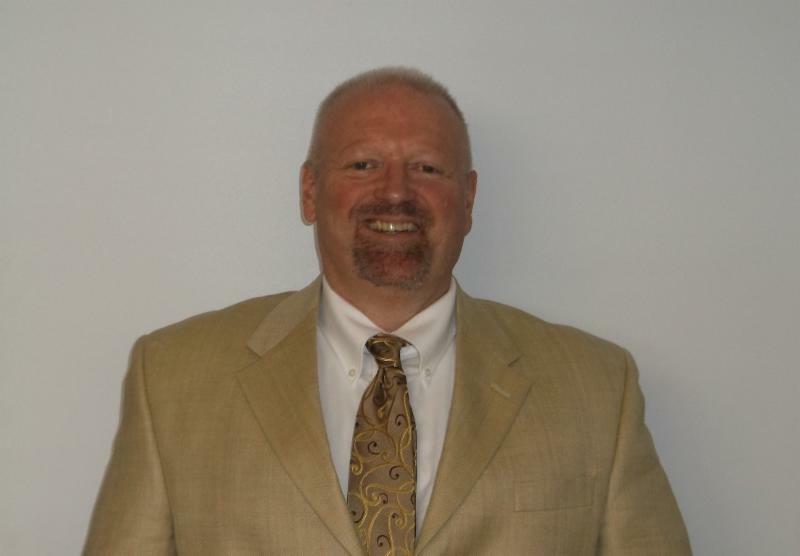 Some of his past client successes include Labconco, AJ Manufacturing, Livers Bronze, Gray Manufacturing Company, Central Plains Cement Company, and DIT-MCO International. Daniel is a 22 1/2-year veteran of the U.S. Air Force and served most of his career in RF Transmission Systems and Cyberspace Support. As a manager, he exercised control and leadership of a multi-organizational inspection team and led in-depth management, safety, and compliance inspections. FloridaMakes is launching a series of webinars designed to showcase Manufacturing Best Practices. The first topic, Skills-Based Compensation, is an innovative HR program implemented by Sparton Corporation. Skills-Based Compensation incentivizes workforce skills training and recognizes and rewards employees for workforce skills development. Join this free webinar at 8:00 AM on Thursday, May 25 to learn about Sparton’s award-winning program. Register by May 24. Did you know Florida leads the country in private sector job growth? In fact, manufacturing has raised Florida above the average U.S. job growth rate. Over the past year, Florida has added more new jobs in the manufacturing industry (13,100) than any other state. 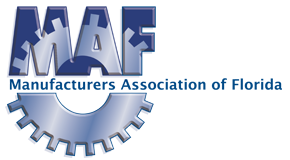 Al Stimac, MAF president, recently participated in the Manufacturing Advocates Podcast. Hosted by Joe Hackman and based in Southern California, this podcast raises awareness of manufacturing’s impact on the U.S. economy. 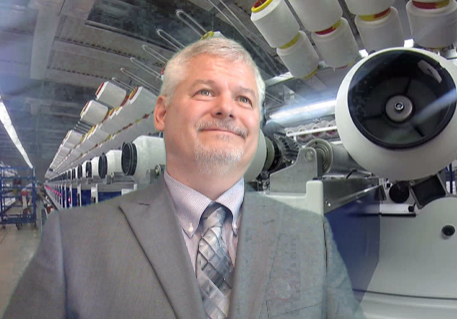 Listen to Al as he speaks about MAF's legislative accomplishments, the “Dream It. Do It.” campaign, and the Made in the USA brand. For businesses that ship internationally, Federal Trade Regulations require product classification and shipment filing with the U.S. Census Bureau through the Automated Export System (AES). Now, the AES has transitioned to the Automated Commercial Environment (ACE) platform. The AES seminar will take place in Clearwater, FL, on Tuesday, May 23. Attendees will learn how to access official export records, increase knowledge on export compliance and enforcement, and use ACE to oversee company-level export filings. This training qualifies for seven Certified Export Specialist (CES) credits. Members of the business workers’ compensation coalition met with Senator Bradley, sponsor of SB 1582, to explain their concerns with this bill: claimant attorney fees, defense attorney fees, and the loss cost rating system. On April 18, the House presented HB 7085. Suggested amendments addressed change of doctors, employee benefits, and attorney fees; MAF opposed these amendments, citing concerns over increased costs. The business coalition sent a letter to Chairman Burgess, thanking him for his work on this bill. The Florida Chamber of Commerce has released an interview with Chairman Burgess on workers’ compensation reform. The House passed HB 7085 and the bill is now in the Senate Rules Committee. On April 19, despite opposition from MAF, the Senate Rules Committee passed SB 1582. MAF expects House and Senate leadership negotiations to resolve differences, but ultimately prefers that the Senate pass the House bill. On April 20, the House passed HB 1107, protecting injured workers’ records from public view. The Senate passed its companion bill, SB 1008, on April 25. MAF supports both bills. On April 18, the Senate unanimously passed SB 532. It is now in the House for consideration. On April 19, the House Governmental Accountability Committee passed HB 753. On April 25, the Senate Appropriations Committee passed its companion bill, SB 1018. On April 23, the House passed HB 21. The Senate substituted HB 21 in place of SB 76 and passed it on April 26. This bill’s language will go on the 2018 ballot, and if passed, will permanently limit annual non-homestead parcel assessment increases to 10%. On April 26, the House passed HB 7109, which includes a decrease in sales tax on commercial leases and rents.